Seasonal shifts play an important role in soil microbial community composition. 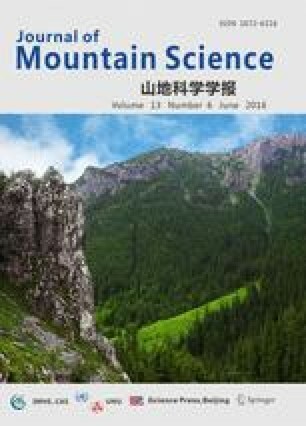 This study examined the hypothesis that soil microbial community structure would vary with seasonal shifts in the Wuyi Mountains in Southeast China, and that two representative tree species (Castanopisi carlesii and Cunninghamia lanceolata) may have different soil microbial community composition. Phospholipids fatty acid analysis (PLFA) was used to assess the effect of seasonal shifts and vegetation types on soil microbial community structure. A total of 22 different PLFAs were identified from all the soil samples. The bacterial PLFAs accounted for 62.37% of the total PLFAs, followed by fungi (28.94%), and the minimum was actinomycetes (6.41%). Overall, the level of PLFAs in C. carlesii soil was greater than those in C. lanceolata soil, and significant differences were observed in some seasons. The amounts of total, bacteria, actinomycic and fungal PLFAs significantly changed with the seasons and followed a sequence order (summer > autumn > spring > winter). The bacteria/fungi PLFAs and G (+) /G (-) PLFAs of two vegetation types also changed with the seasons and the ratios in summer and autumn were higher than those in spring and winter. The correlation analysis of microbial PLFAs and soil physicochemical properties showed that the total, bacteria, fungal, actinomycic, G (+) and G (-) PLFAs were significantly positive correlation with TOC, TN, TP, TK and moisture content. We concluded that the seasonal shifts and vegetation types affect soil microbial community composition by changing the soil physicochemical properties.